A tool for learning Game Maker Language (GML), which is used in GameMaker:Studio. 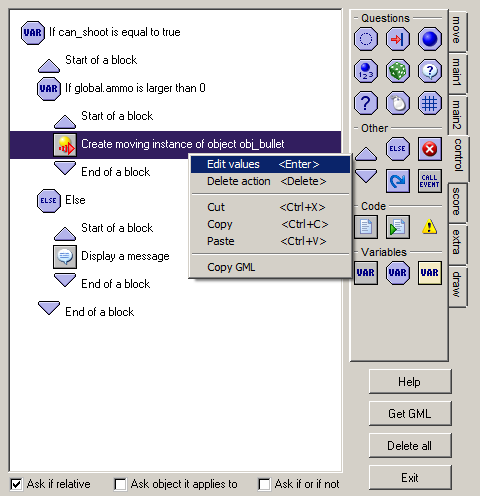 Drag the action icons onto the white field, fill in the values and convert them into fully working code with a single click. 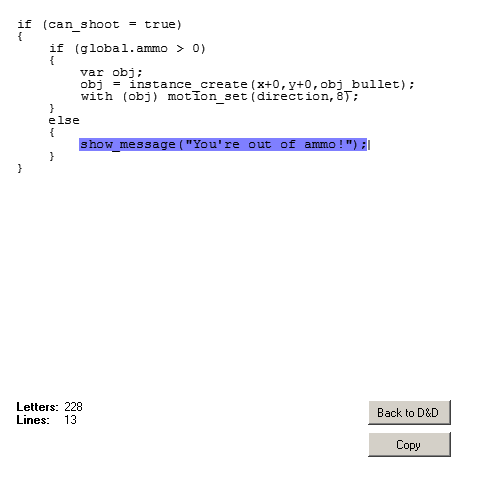 The code can then be pasted into the objects of your game.